Special Discounted Rate: Admits 5 General Admission. Includes 4-Hour Open Bar, Complimentary Appetizers, Buffet Style Dinner, & Party Favors. Includes Perks of General Admission (4-Hour Open Bar, Complimentary Appetizers & Party Favors) plus Priority Boarding with Access to 'first come, first serve' dinner guaranteed seating. Tables may be shared with other VIP Guests Only - Limited quantity available. With DJs spinning the best in Top 40, four hours of open bar, and a buffet style dinner, there isn't really much that's missing from this event. 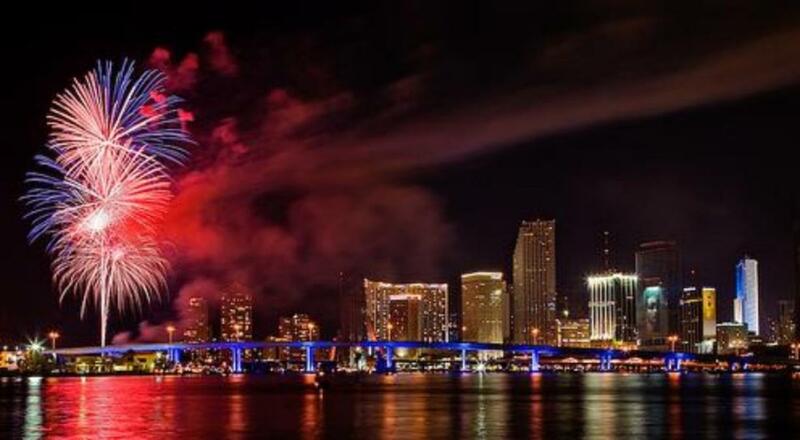 To top things off, you'll be taking in the best views that the city has to offer from the outside in, including Biscayne Bay, South Beach, Bayfront Park, The Orange Drop, a Fireworks show, and the stunning downtown Miami Skyline. Get your tickets while you still can because this is one event that you won't want to miss.